No dreams deferred here as Taye Hansberry stars in the lead role of the biographical film highlighting the life of her great-aunt, playwrite Lorraine Hansberry. 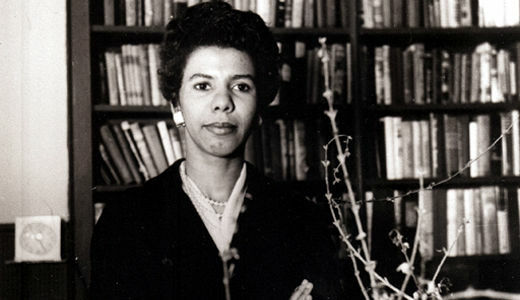 Hansberry is currently in production of the script as she brings Awkward Black Girl creator Issa Rae on to tackle the role of Nina Simone and Jaleel White as James Baldwin, both of which were close friends of the A Raisin In The Sun writer. Taye will also work with actress and writer Numa Perrier on the film while Will Stewart (Scandal anyone?) handles casting. Lorraine amassed much success after her semi-biographical play, A Raisin In The Sun, made her the first African American to have a play reach Broadway. Success was cut short as Hansberry passed away at 34 from pancreatic cancer.